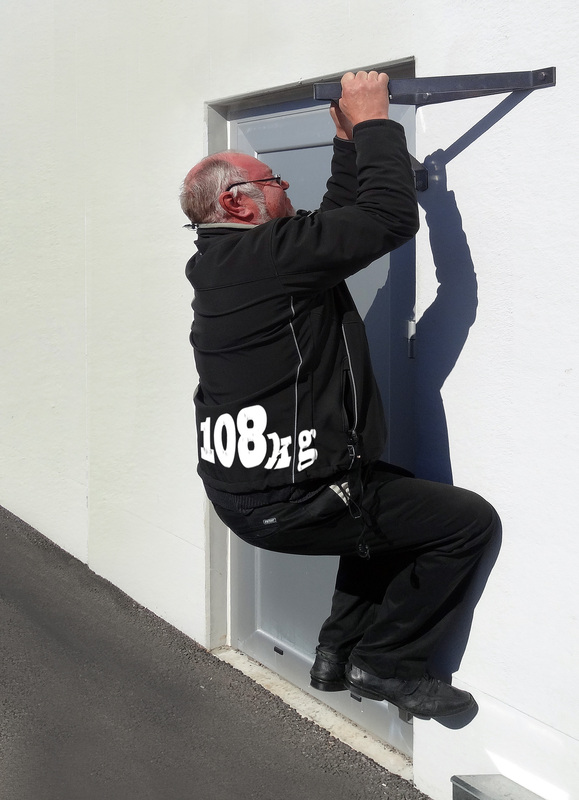 A doorstop reduces the maintenance costs and increases the safety! A doorstop protects leaf, frame, hinges, door closers / door automation. The facade is always protected when the door is opened. The doorstop receives and suppresses the door cautiously in case the wind blows it up with full force. The doorstop can be mounted adjacent to doors and entrances in public settings such as schools, hospitals, sports facilities etc. 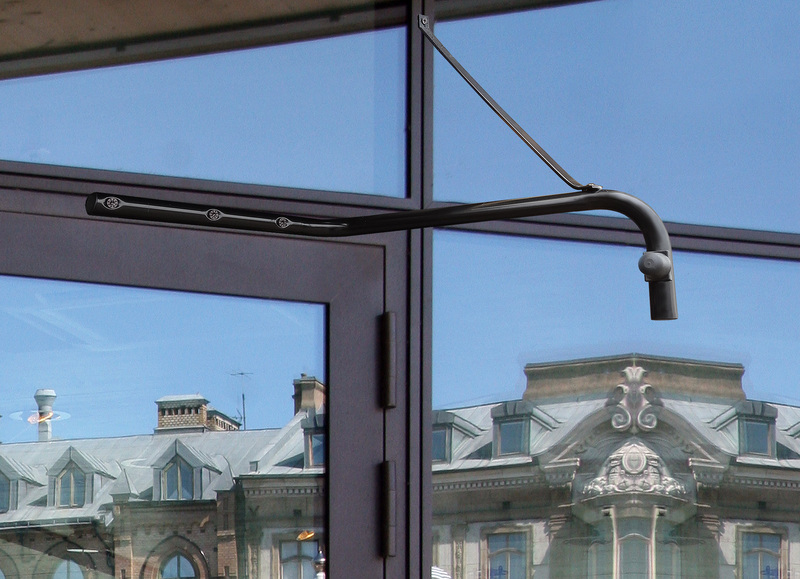 Suitable for aluminum, steel and wood doors, and for indoor as well as outdoor. •et; Installed as an accessory for new doors or as a complement to existing doors. •et; The construction provides stable frictions and low maintenance. •et; Finish: Powder coating RAL 9005 black. •et; Rubber dampers that cushions. 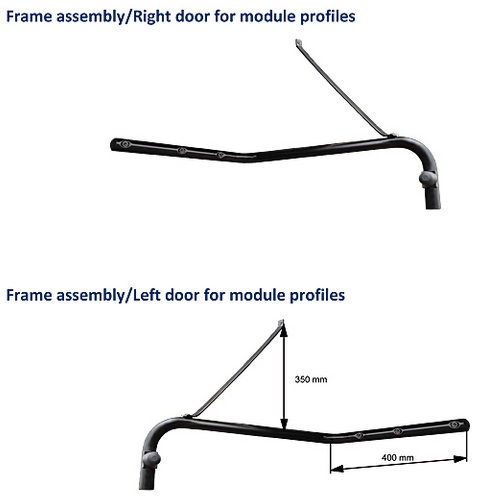 •et; Strut profile can be screwed to the wall / ceiling. •et; Mounting kit complete with assembly instructions included. •et; A high mounted installation means fully or partially free land / floor surfaces. 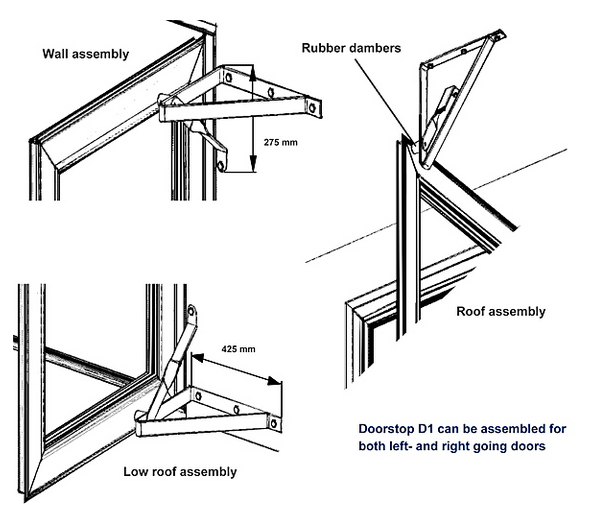 A doorstop door protects the door blade, frame, hinges, door closers / door automation. Also glazing in the facade (sidelight) is protected when the door is opened. The doorstop receives and suppresses the door cautiously in case in case the wind blows it up with full force. Doorstop can be mounted adjacent to doors and entrances in public settings such as schools, hospitals, sports facilities etc. 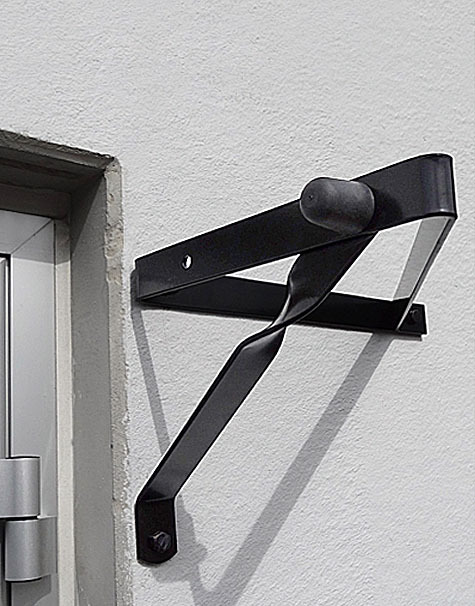 Suitable for aluminum, steel and wood doors, and for indoor as well as outdoor. •et; Rubber stop that cushions, the angle is adjustable. •et; Strut is screwed in the profile / wall. •et; A high mounted installation involves completely free land / floor surfaces.